Minnie is on your drinkware! This Disney Minnie Mouse 18 oz. 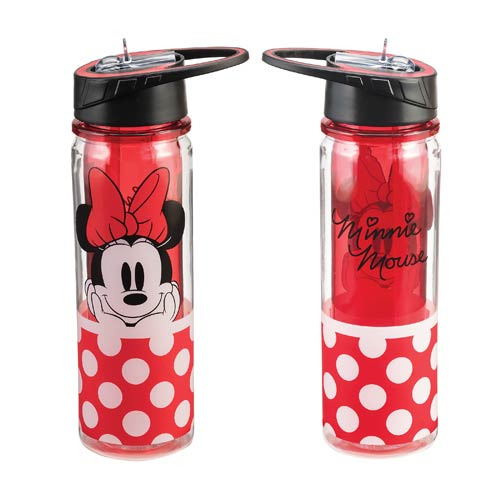 Tritan Water Bottle displays a fun Minnie Mouse-inspired design that features Minnie's signature red with white polka-dots. Water bottle holds up to 18 ounces of liquid.